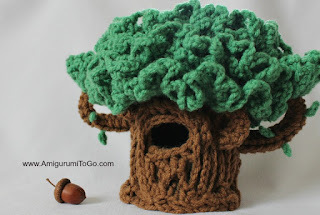 Here's a round up of this entire series including the tree! There are 8 different patterns, all free. Most of them also have video tutorials. The tree is about 6 inches tall. Not all available are pictured above, scroll down this page for links and pictures. Lil' Oak Hiding Tree opens up to hide 4 little friends inside. There are also pouches designed into the leaves that will hold a friend or two. Click here for this unique pattern that also has a full video tutorial. 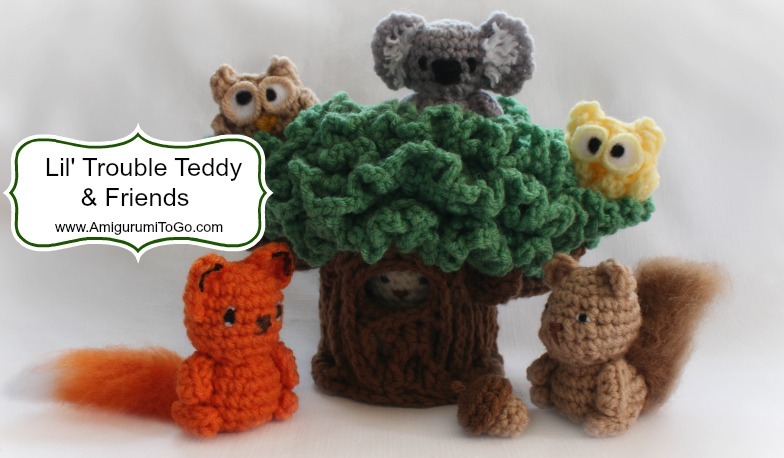 Lil' Trouble Teddy is about 3 inches tall and can be modified into different animals. This pattern includes instructions to make a bear, koala and a frog. Sly the Tiny Fox is a modified version of the Lil' Trouble Teddy. He has a big tail that you can leave as is or brush out using a steel pet brush. 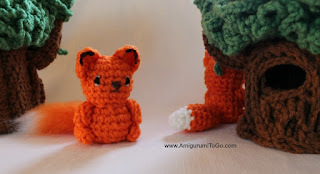 Sly has his own pattern page here. Next we have Ace the Tiny Squirrel. You can use different things to brush out the tail but I found a steel pet brush the quickest and most effective way to brush acrylic yarn. Click here for this cute pattern. Using the same pattern along with just a few slight modifications you can also make a skunk here. You may sell finished products. Do not reprint this pattern. 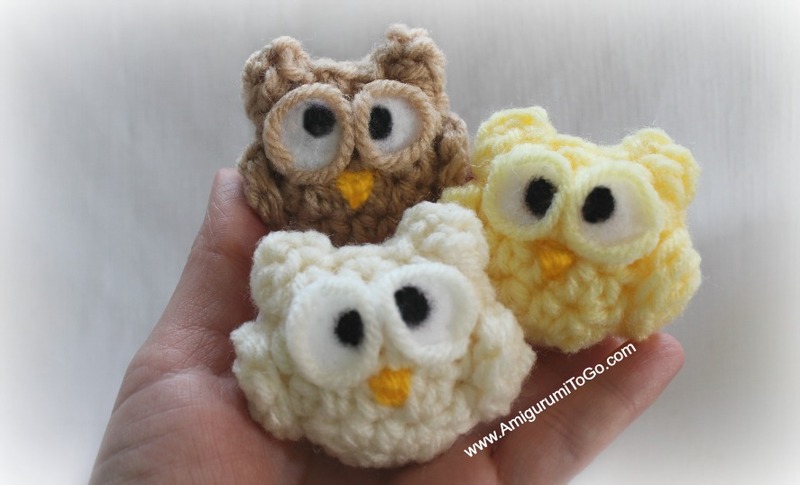 If you'd like to share this pattern please link back to it. These designs are so special. I love that children really can play with the tree and the little animals. My compliments for you and thanks for sharing. Thank you so much for your hard work and for the patterns, these are in my big list. What a wonderful collection. It must take you ages to develop the patterns thank you for sharing. So adorable! It looks amazing...and actually kid friendly. Por favor, que cosita tan linda, me encantaron. 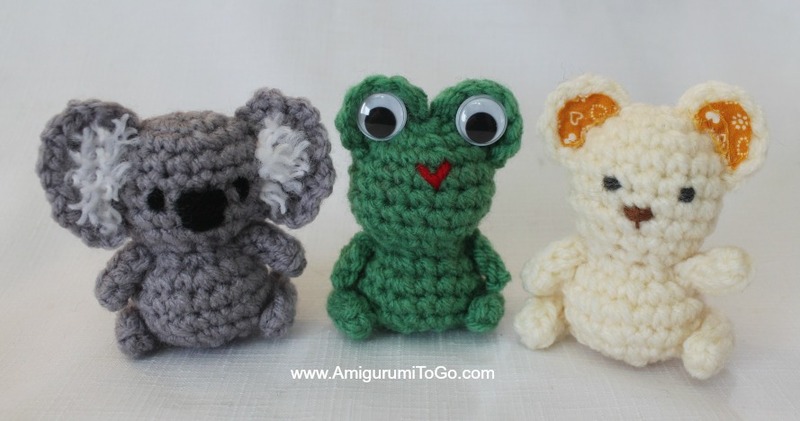 any new patterns will be on the home page, if ever in doubt, just scroll up and click on the blog title "Amigurumi To Go" and that will bring you to the latest posts. But no new patterns since the Tree and tiny friends. Oh, my, what a wonderful collection and how generous of you to share it! Thank you so much - I can't wait to make it for my little one.